From Ghostbusters to Jumanji and The Magnificent Seven, there's no shortage of remakes, reboots, and revisits on the Hollywood horizon, but there's one in particular you should be dreading—especially since it'll see one of horror's most memorable villains making a comeback. Variety reports Hemlock Grove actor Bill Skarsgard will be playing Pennywise the clown in New Line's upcoming theatrical adaptation of Stephen King's It. On the surface he looks like your average, creepy circus clown, but Pennywise is actually an evil supernatural being who roams the sewers of Derry, Maine and feeds on children—and can manifest itself as the deepest and darkest fears of its victims to boot. We've also learned that Jaeden Lieberher will be starring as "Stuttering" Bill Denbrough. In the novel, Bill is the leader of the Losers Club, a group of young social outcasts who've all encountered the malevolent force haunting their town. After Bill's brother George is killed by Pennywise, he vows to get revenge on the monster with the help of his friends. Pennywise was first played by Tim Curry in It's 1990 made-for-TV miniseries. 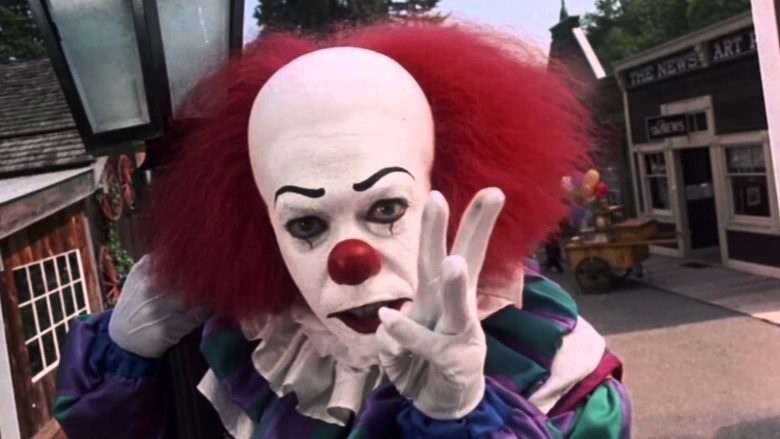 While the miniseries itself fell flat due to network restrictions and the removal of some of the novel's best sequences, Curry's Pennywise is often remembered as one of the best horror performances of all time. Bill Denbrough, meanwhile, was originally played by Jonathan Brandis and Richard Thomas in the ABC miniseries. Wait, two actors playing the same role? 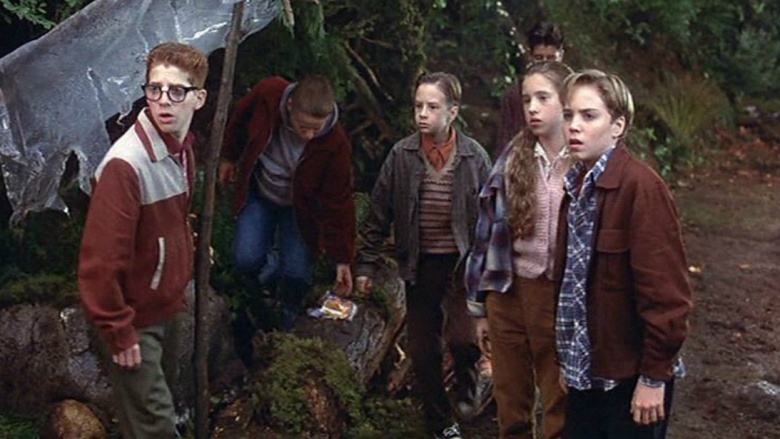 That's right: the story of It goes back and forth between 1958 and 1985, as the Losers Club battle It as children and reunite as adults after realizing Pennywise is still alive. We should soon learn who director Andres Muschetti has selected as the grown-up version of Stuttering Bill. True Detective veteran Cary Fukunaga was initially on board to helm It, but exited the project over creative differences with the studio. Now that Mama director Muschietti has the reins, It remains on track to hit theaters on September 8, 2017. That release date is subject to change, but remember: they all float down here.